Christine de Pizan, one of the earliest known women authors, wrote the Livre de paix (Book of Peace) between 1412 and 1414, a period of severe corruption and civil unrest in her native France. The book offered Pizan a platform from which to expound her views on contemporary politics and to put forth a strict moral code to which she believed all governments should aspire. The text's intended recipient was the dauphin, Louis of Guyenne; Christine felt that Louis had the political and social influence to fill a void left by years of incompetent leadership. Drawing in equal parts from the Bible and from classical ethical theory, the Livre de paix was revolutionary in its timing, viewpoint, and content. 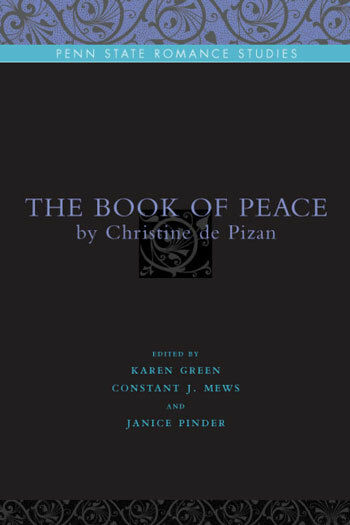 This volume, edited by Karen Green, Constant J. Mews, and Janice Pinder, boasts the first full English translation of Pizan's work along with the original French text. The editors also place the Livre de paix in historical context, provide a brief biography of Pizan, and offer insight into the translation process.